Been out of the loop for a while and designed this motor about a year ago but only just got around to having the parts made. It runs off a basic Bedini SSG circuit with 150 turn primary and 75 turn trigger winding. There are 6 neo magnets in a NSNSNS configuration. There is only one coil on this design that wraps around the rotor in a way to minimize parasitic resistance. 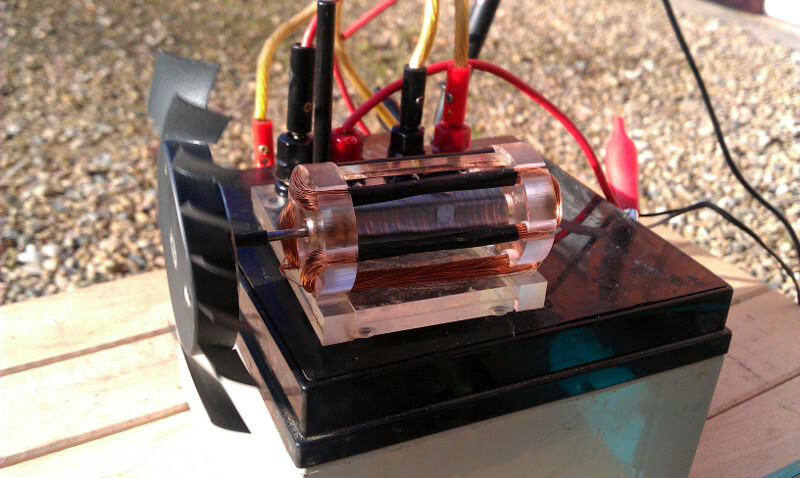 In the video the motor is running off the small 1.5w solar panel. In the middle of November in the UK the sun isn't all that bright but it still runs quite nicely. Only just finished it last night and my batteries have been sitting idle for a very long time, so it will be a while before I have any real results from it but I'm glad to be back on the Dark (energy) Side! 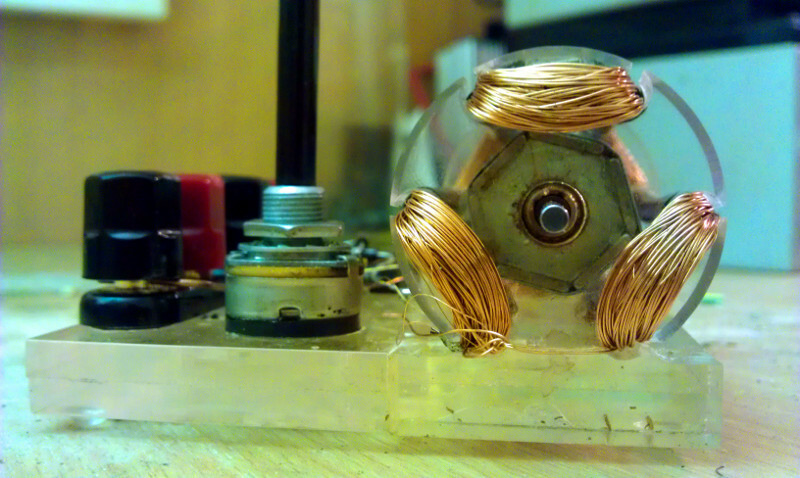 Yes, it has torque The goal of my most recent motors is to get higher mechanical efficiency. With my last motor ( Bedini Motors Have NO Torque! 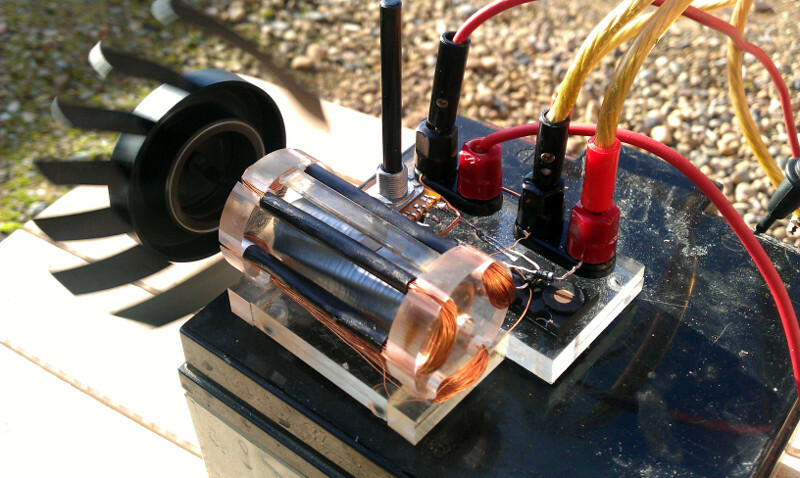 - YouTube ) I matched the mechanical efficiency of a standard brushless motor while charging batteries at the same time. This motor seems more efficient, but when your talking about torque, you need to think about how much torque you want at what RPM. It's about impedance matching. If I wanted this to have higher torque at lower rpm then I would probably double stack the magnets and use a finer gauge wire for the primary with more turns. This motor has good torque at higher rpm so it is better suited for something like a fan than a water pump, though it is always possible to use gears to step the power down for that purpose. I wouldn't worry about converting the spike. If you put a capacitor on the output instead of a battery it will pretty much convert the voltage spike back into current. The spike is caused by a property of the batteries that is similar to inductance. The ions in the battery have far greater mass than an electron and so they are subject to momentum. When the power is cut off to the coil the field starts collapsing and so generates voltage in the windings. At first the batteries ions are stationary and for a very brief moment this makes the battery behave like a very very high impedance. 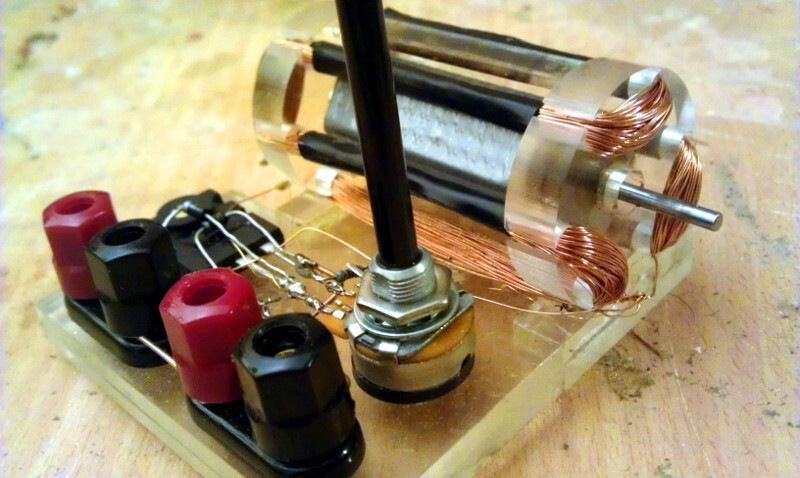 This allows the voltage to rise dramatically across the windings. But soon the ions get moving and so the battery impedance drops and the voltage across the windings drops back down to the voltage of the charging battery. There is no extra energy in the spike itself. Though the spike is significant when it comes to charging batteries. Without a doubt it is the spike which gives bedini's energisers their ability to desulphate batteries. The spike is also attributed to the extra energy that is supposed to end up in the charging battery but is not measurable on the motor's output. There are a few theories floating around on how this works but I'm not certain which is correct, and to be honest, I don't think Bedini is certain either since he has put out several theories over the years. If you do want to increase the size of the spike, then you need the fastest transition from the on/off states as possible. Also, the greater the magnetic field generated at the point of cut off, the greater the size of the spike. Newer version? Unless you are talking about a very recent motor then it is the other way around. 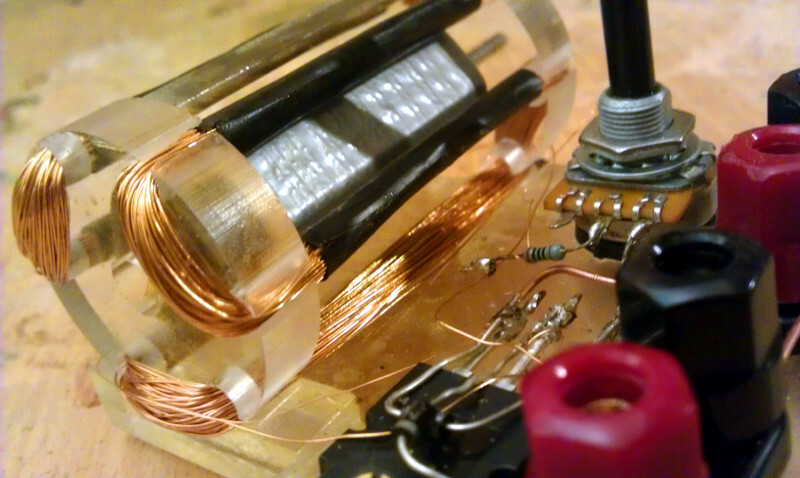 Bedini's earliest motors used to collect the flyback from coil into a capacitor bank and then discharge that into the battery bank, though later on he switched to feeding the output from the coil directly into the battery. Nice motor! People get Bedini's remarks about hot and cold confused. JB is still singing the same tune about when to use a cap dumper and when not. Depends on how you are going to use the battery after it is charged. Hot charged (cap dumper) batteries can be used conventionally, cold charged (direct to battery), for resistive loads and not for primary. That's his story anyway. JB is putting together SSG kits on the other forum and they have cap dumpers. This is causing some people to think that he nows prefers them. Not so. It's just a more complete kit for experimenting with both, hot and cold. Last edited by ET-Power; 04-09-2017 at 07:43 PM. how close are you ? According to Google Maps we a 5 hours North West of you.